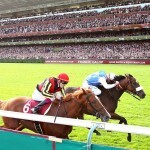 The 96th Running of the Prix de l’Arc de Triomphe: Can Enable Outlast the Field? The best middle distance racers in horse racing head to Chantilly. Bookie bet365 provides insight into who’s favored to come out on top! 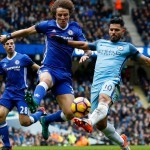 Podcast Episode #24: Can Chelsea Capture the Win Against Man City? The EPL Heats Up! As the English Premier League gears up for another weekend, Mr. Bookmaker dives into the odds while analyzing the match-ups! Bookie Paddy Power has published the odds covering this year’s Presidents Cup at the Liberty National Golf Club in New Jersey. Which team will drive & putt their way to victory? Podcast Episode #23: A Real Slump? Madrid Looks to Get Back on the Winning Track in La Liga! La Liga is back in action this weekend & Mr. Bookmaker has got you covered! Week #3 in the NFL is analyzed in full as well. The NASCAR Cup Series Playoffs are Here! Who’s on the Inside Track to Take the Checkered Flag? 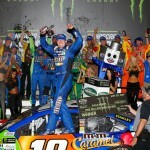 bet365 unveils the odds for the NASCAR Cup Series playoffs! Will Jimmie Johnson be the last one standing for the 2nd year in a row? 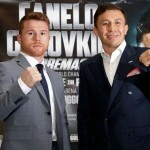 Mr. Bookmaker highlights the odds surrounding the Álvarez vs. Golovkin match in Las Vegas in addition to Week 2 in the NFL! Podcast Episode #21: It’s Pigskin Time as the Gridiron in the NFL Kicks Off! Mr. Bookmaker runs down the opening weekend match-ups and odds as the NFL 2017-18 season gets underway! UEFA Champions League 2017-18: Who’s Headed for Kiev? The linesmakers at bet365 have spoken! Who is favored to be the new champion in Europe? The Path to Super Bowl LII in Minneapolis Begins! Will Tom Brady & the Pats Repeat as Champs? 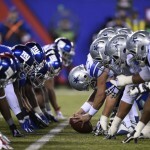 US online bookie Bovada has released the latest betting lines for the upcoming NFL season! Who’s favored to capture the Super Bowl? Podcast Episode #20: World Cup Qualifying Hits the Shores of Europe! Who’ll Secure Their Spot in Russia? Mr. Bookmaker runs down the World Cup qualifying match-ups along with the odds as teams in Europe & the Americas try to secure their spots for 2018!